Sulfur is a naturally occurring compound found in protein-rich foods and certain vegetables. It is one of the main components of detoxification in the body, as it plays a role in the function of several amino acids, and also feeds the hair, skin and nails. In order to help the body contend with the many toxins found in the environment today, a sulfur-rich diet can be a helpful step in the detoxification process. If further detox is needed, supplements that contain sulfur can be taken. Detoxification through natural body processes have existed as long as humans have. For most of history, the body only had to detox the compounds created by bacteria, and what came from alcohol. Now, the body has to work on a daily basis to detoxify chemicals from the environment, food, pharmaceuticals, alcohol and drugs, along with parasites and fungi, according to Cherie Calbom in the book, "The Complete Cancer Cleanse." Eating a sulfur-rich diet is not only important as a natural detoxifying agent, it also helps regulate hormones. Without sulfur, the body cannot properly detoxify substances including pharmaceuticals, environmental toxins and heavy metals, according to digestive care expert, Brenda Watson, in her book "The Detox Strategy: Vibrant Health in 5 Easy Steps." Watson asserts that there is an association between improper detoxification, particularly of the liver, and illnesses including Alzheimer's, Parkinson's, autism, arthritis and multiple chemical sensitivity. Dietary sulfur is critical because the body cannot produce it on its own. Sulfur is a component of several processes that detoxify the body. According to the "Nutrition Almanac" by John D. Kirschmann, sulfur is a part of glutathione, the primary antioxidant that maintains a healthy liver. It detoxifies sulfuric acid and toxic substances from radiation and pollution, adds Kirschmann. Sulfur also helps the body to resist bacteria, and is found in bile via the amino acid taurine, which assists the body with proper digestion. 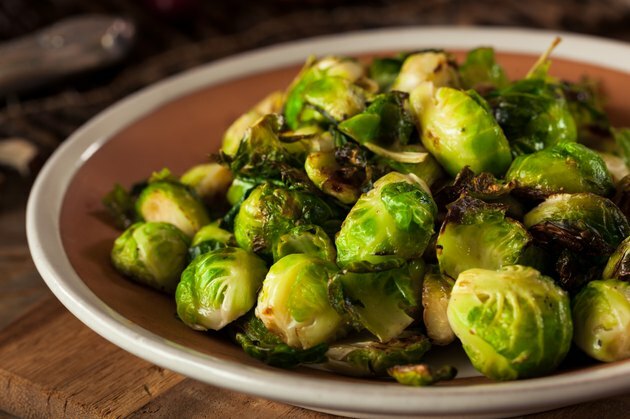 Foods rich in sulfur include eggs, legumes, whole grains, garlic, onions, Brussels sprouts and cabbage, according to Dr. Michael Murray in "The Encyclopedia of Healing Foods." Sulfur can also be taken in supplemental form as methylsulfonylmethane, or MSM. Murray recommends 1,500 mg per day of MSM for those who suffer from arthritis or liver disorders. While sulfur is a naturally occurring substance that is essential part of the diet, it is different from sulfites or sulfur dioxide, which can produce allergies. Certain vegetables that contain a high amount of sulfur, such as cabbage, onions and Brussels sprouts may cause excess digestive gas. Check with your doctor before supplementing with any form of sulfur, including MSM. What Happens if You Get Too Much Sulfur in Your Diet? What Is the Supplement MSM Good For?